The brand-new Ashampoo ClipFinder HD gives you web video the way it should be. Search in up to fifteen video portals at once or in selected portals, view videos directly and convert and save them to your hard disk with a single click. Nothing makes finding, viewing, saving and managing web videos easier. And Ashampoo ClipFinder HD isn`t just better, it`s cool. ...... mode, just add new clips into your playlist by the fly (Enqueue to Playlist function), start new searches for more videos in single tabs - like tabbed browsing. 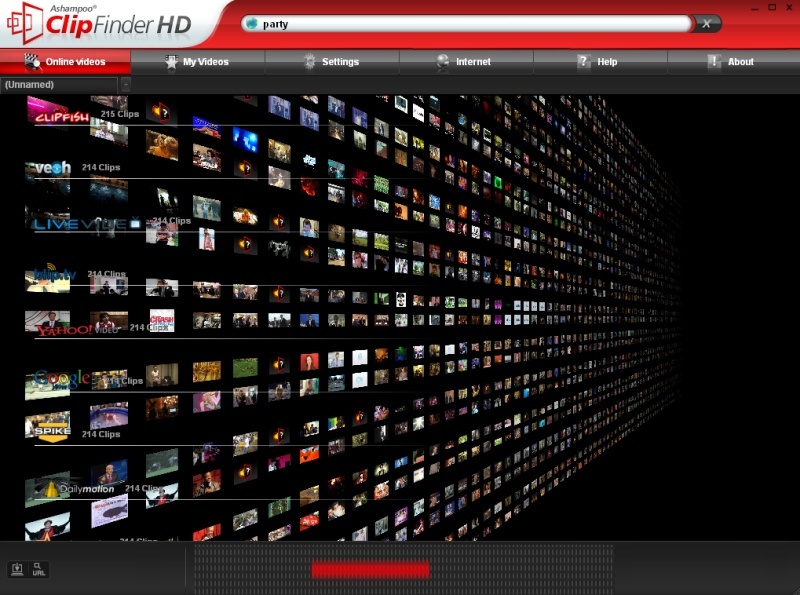 Ashampoo ClipFinder HD - Enjoy videos in a perfect way! Qweas is providing links to Ashampoo ClipFinder HD FREE 2.23 as a courtesy, and makes no representations regarding Ashampoo ClipFinder HD FREE or any other applications or any information related thereto. Any questions, complaints or claims regarding this application Ashampoo ClipFinder HD FREE 2.23 must be directed to the appropriate software vendor. You may click the publisher link of Ashampoo ClipFinder HD FREE on the top of this page to get more details about the vendor.